Holiday Lanterns are associated with a cozier space, bright light, warmth and comfort and, why not, holidays. The atmosphere lights up with a lantern and everything gets softer. There are tons of ideas on how to make your own DIY holiday lanterns that you will definitely enjoy and consider beautiful. You can make them out of wood, metal, mason jars or paper and add Christmas ornaments and decorations. If you’re not in the DIY spirit you can buy some traditional lanterns of glass and black metal and add candles inside. This way, you can move the lantern around, inside or outside, depending on where you want to spend your free time. Another great idea is adding cranberries to ice and make some melting candles for your backyard. Pinecones, nuts, snowflakes, snowballs all add up to your cozy winter atmosphere so you can enjoy a cup of hot chocolate in front of your fireplace. Enjoy! 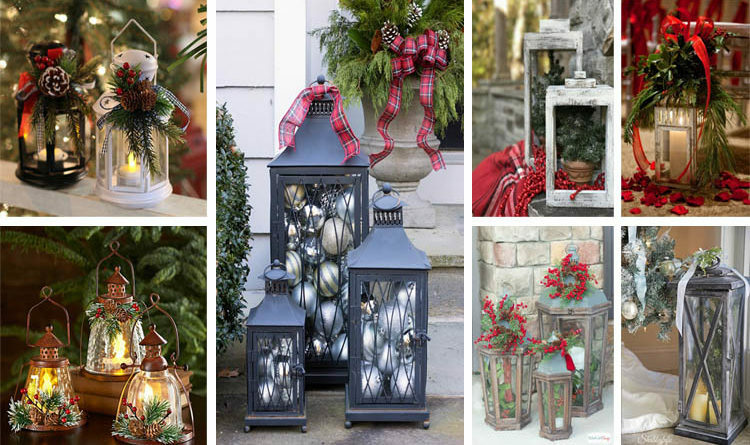 Amazing DIY Holiday Lanterns Ideas!